Perhaps I shouldn’t reveal that a sleepless hour later, I felt compelled to remove this book from my bedside locker and leave it hidden behind closed curtains on the landing. The following morning I could laugh at such foolishness but, the night before lying in a darkened room, my imagination was stirred enough to contemplate the possibility that something evil might seep through its pages. would have topped my all-time favourite books. As an avid reader, that’s high praise indeed – but that was before I read Killing Ways. Don’t worry – I guarantee no spoilers – but if you enjoy your crime fiction gritty with plenty of twists and turns then look no further. Engrossed in the story and the characters, about half-way in I had my first of many “oh, my God” moments, as the tension, along with my blood pressure, ratcheted up. Sitting on the Luas I nearly missed my stop and couldn’t wait to dive between the pages again on my return journey; half of me wanted to race through the pages to the end while the other half wanted to savour every moment. It was reminiscent of reading childhood books where I became so engrossed in the story that my real world virtually dissolved. The characters were alive and I felt as if I knew them as intimately as close friends and family; my mind already worrying about their future, long after that final page. Barclay is, most definitely, at the top of her game! In the game of vengeance, he holds a killer hand. In her most shocking case yet, FBI Special Agent Ren Bryce takes on a depraved serial killer fuelled by a warped sense of justice. Together, can they defeat this monster? Or will he take them both down? Not a review – yet – but I guarantee that from the snippets I have had the pleasure to read, this book will be one, that like me, you’ll be rushing out to buy. If you don’t believe me, then let me whet your appetite with not one, but two fabulous trailers . 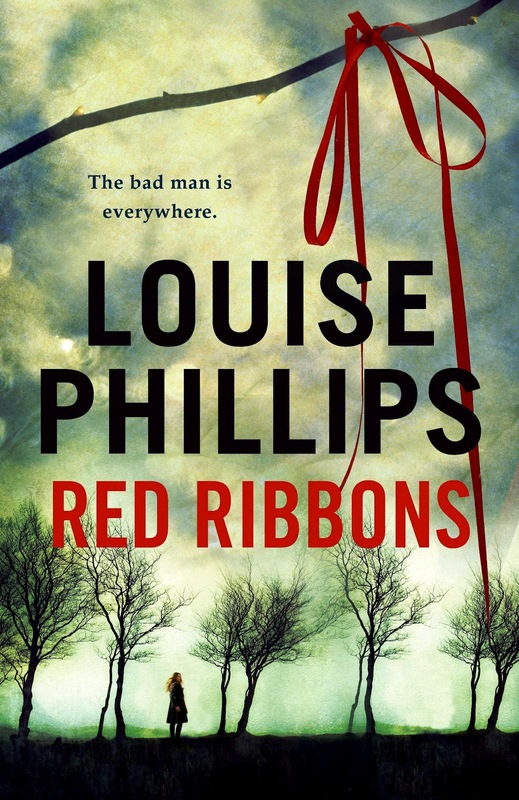 . .
RED RIBBONS Trailer No 1 – Click Here! Trailer No 2 – Click Here! A missing schoolgirl is found buried in the Dublin Mountains, hands clasped together in prayer, two red ribbons in her hair. Twenty-four hours later, a second schoolgirl is found in a shallow grave … her body identically arranged. A hunt for the killer is on. The police call in profiler Dr Kate Pearson to get inside the mind of the murderer before he strikes again. But the more Kate discovers about the killings, the more it all feels terrifyingly familiar . . .
As the pressure to find the killer intensifies there’s one vital connection to be made. . . Ellie Brady, a mother institutionalised fifteen years earlier for the murder of her twelve-year-old daughter. She stopped talking when everyone stopped listening. I read this book on my eReader while on holidays – the only problem I had with that, was that I didn’t have a pen and paper handy to make notes! This book is perfect for anyone who has a passion for writing. It is very well written and divided into three parts. I had only planned on reading the first two, which relate to writing tips and advice on how to promote your brand using social media, but was enticed into reading every word – and I’m so glad I did. Ruby includes excellent advice, as well as tips, on the drawbacks of not thinking through your whole approach to writing and branding, drawing on personal experience to highlight it all. There’s advice on what to include in your blog or website to draw readers and writers to your pages – but also advice on how to avoid the lure of social media sites in favour of writing – something I’m sure we’ve all done at one time or another. I found the section on self-publishing a real eye-opener, with step-by-step instructions on how to strip your writing of all formatting so that it will appear perfectly on Amazon, Smashwords etc. Ruby advises on everything from pricing structures and how setting up a special offer on one platform can affect your pricing on another; to advice on how best to promote your work with the help of fellow authors and reviewers. It was something I had never considered before, but I’ve already recommended this book to a number of friends, who would benefit from this section alone, to promote their work to a wider audience. I came away from this book feeling that I had garnered some very useful information which can only help on the road to success . . .
Having read and enjoyed ‘Black Sheep’ some years ago, I was aware that Arlene Hunt was moving her latest novel, ‘The Chosen’, across the water to the States. She wet my appetite at Reader’s Day, when she read an extract from this book, about serial killer Caleb Switch and his meticulous preparation before a kill . . .
With a riveting plot and well-developed characters, you are immediately sucked right in to their lives. From the opening pages, you are introduced to the heroine, Jessie Conway and you immediately feel a bond with this brave, yet vulnerable woman. that immediately makes the reader wonder at this man’s fall from grace and hope that he can somehow redeem himself. Jessie’s life appears to be unravelling around her and when Caleb becomes interested in her, feeling that at last he has found a worthy adversary, things can only get worse . . .
‘The Chosen’ is an action-packed book, that promises to keep the reader on the edge of their seat, right to the very last page.